Yesterday, we wrote about how in America, the supplement industry is largely unregulated by the FDA. Today we’re covering fish oil supplements, gel capsules that contain a mix of omega-3 fatty acids and some excess fats. We’ll be referencing data from our tests on 54 best-selling US fish oil supplements. You can access our quality rankings and full reports of those products here. As consumers, we’re willing to pay more for quality, especially when it affects our health. This isn’t a secret to supplements manufacturers. As we found with fish oil, some manufacturers will even change numbers here and there on label claims to make their products seem better than they are and add a few dollars to their suggested retail prices. General rule of thumb: If manufacturers can get away with cheating to save money, some of them probably will. 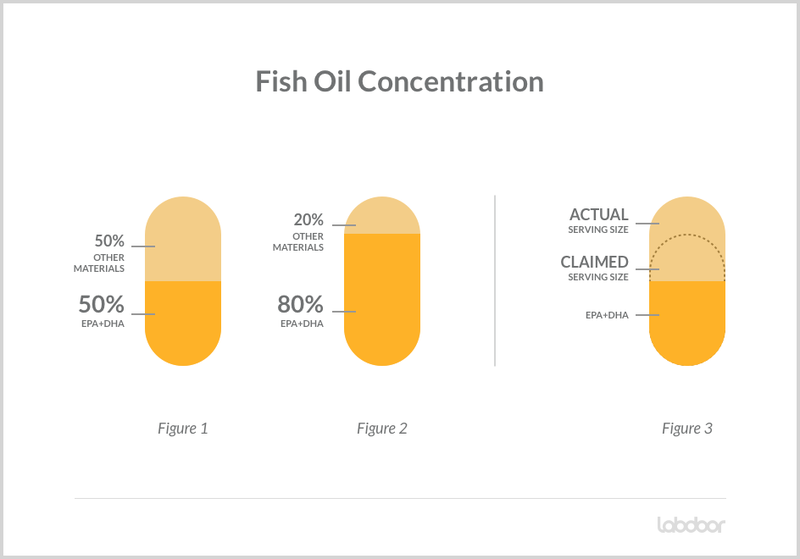 When we first looked at fish oil, we thought it would be a pretty simple test; measure the amount of healthy oils, check for contaminants, and be done with it. But then, something smelled fishy (couldn’t resist the pun). We’d tested most of the brands we selected and found that quantities of beneficial oils (omega-3s like EPA and DHA) sometimes didn’t match the labels. That happens, and we recorded those numbers. It was while measuring the total volume of oil in these pills that we began to notice something funny. There was just too much oil for some of the claimed serving sizes, and these pills were all larger than they should have been. It turned out these fish oil manufacturers knew their products weren’t pure enough. 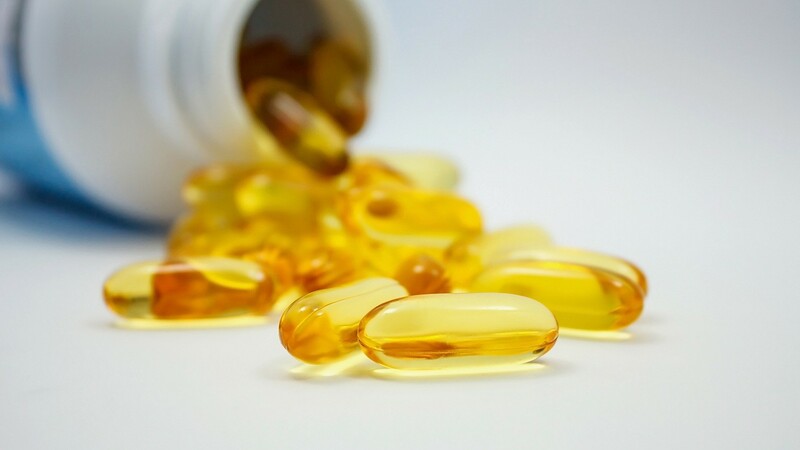 To compensate, they used larger-sized capsules to get closer to the amount of omega-3 claimed on the label (many still didn’t meet label claims). Then, they lied on the bottle and said the pill’s serving size was smaller than it actually was, so claimed pill sizes and final omega-3 concentrations seemed comparable to better-quality brands. Why does it happen? Concentrating omega-3 fatty acids is expensive. The difference between a low-quality pill and a more pure pill is an additional round of distillation and processing, and it could take several rounds to achieve a really high-quality product. Those costs are passed on to the consumer; the most pure fish oils tend to be the most expensive, justifiably. We learned from our data, though, that what might seem like a highly pure fish oil could just be a low-quality oil masked in a false serving size. These products can afford to be priced slightly cheaper than other high-quality products, so at face value, they like a good deal. Unfortunately for the average consumer, those lower-quality products are often not worth even those lowered prices. So what? Beyond bad (possibly illegal) practices, these pills are a less healthy “health” product. The customer is getting an extra dose of junky fat that better brands would have removed. The health benefit of omega-3s seem to work as a ratio of “good fats” (omega-3s) vs. “bad fats” (omega-6s), so if we eat more “bad” fats, it could cancel some of the good. Again, we wouldn’t know about these ratios from reading the label, because the companies didn’t report the real serving size. In our next article, we’ll talk about protein spiking — a method used to artificially boost the tested protein content of supplements. If you learned something from this story, please click the ❤ below, and follow us at Labdoor for updates.